A look at how to farm Precious Gems and upgrade your gear in Assassin's Creed: Odyssey. In Assassin’s Creed: Odyssey, players have been wondering how to get Precious Gems. As one of the main materials needed to upgrade your gear in Assassin’s Creed: Odyssey, knowing how to get Precious Gems in important. To help you out, we’ve put together a quick guide on how to get Precious Gems in Assassin’s Creed: Odyssey. One way to get Precious Gems in Assassin's Creed: Odyssey is by killing mercenaries. To get precious gems in Assassin’s Creed: Odyssey, you’ll need to familiarize yourself with some of the main ways to find it. First off, you can get Precious Gems by dismantling your gear though this isn't always the best option. Plus, the amount of Precious Gems you receive this way varies depending on the rarity of the gear you’re dismantling. Prior to dismantling an item, you’ll be able to view the materials it’ll drop once it’s dismantled. The higher the rarity, the more likely an item is to drop Precious Gems. While this isn’t the best way to get Precious Gems, if you have gear you simply don’t want or don’t use, dismantling it and harvesting its dropped materials is always an option. Next, you can get Precious Gems in Assassin’s Creed: Odyssey is by completing bounties, which can be unlocked on Message Boards. To do this, simply walk up to a Message Board and interact with it to accept different Quests and Bounties. Try and only accept the ones you know you can complete. The ones you accept are then marked on your map, and when you complete them, you earn rewards including Precious Gems. Finally, you can kill mercenaries to get Precious Gems. In Assassin’s Creed: Odyssey, mercenaries will hunt you down if you fail to properly utilize your stealth abilities. For example, boldly enter a fort and start shooting. If you keep doing things like this, your bounty will increases until mercenaries are sent to stop you. Killing mercenaries isn’t always an easy task. However, by killing all of the mercenaries who come after you, you can earn some fantastic rewards. Among these rewards is the ability to upgrade your mercenary tier and Precious Gems. If you don’t want to set mercenaries after you, you can also open up your menu and where your Quests and map are, click on the Mercenary tab to view all of the mercenaries you’ve discovered. 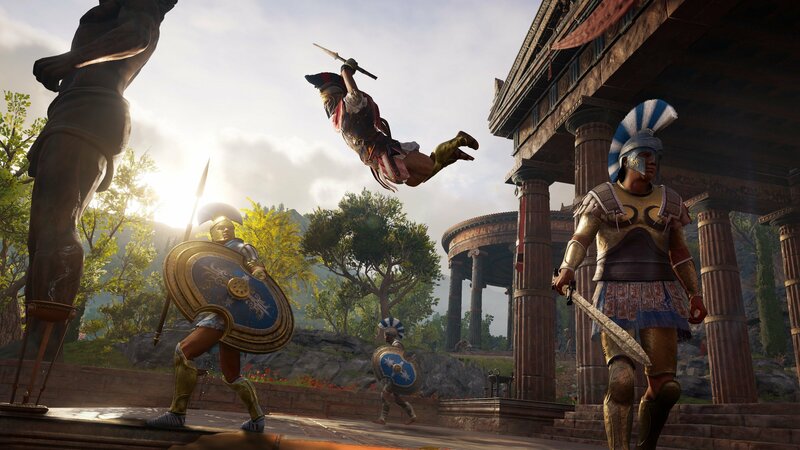 For more on Assassin’s Creed: Odyssey, be sure to check out some of our previous guides including how to get Soft Leather in Assassin’s Creed: Odyssey, how to get Obsidian Glass in Assassin’s Creed: Odyssey, and how to get Olive Wood in Assassin’s Creed: Odyssey. By reading through this guide, you should now know how to get Precious Gems in Assassin’s Creed: Odyssey.